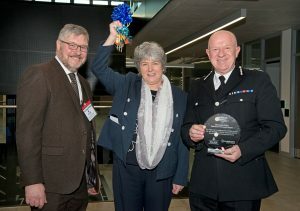 From L to R: Paul Heald, Senior Contracts Manager, Morgan Sindall; PCC Jane Kennedy; and Chief Constable Andy Cooke, Merseyside Police. Merseyside’s Police and Crime Commissioner and Chief Constable have taken delivery of Merseyside Police’s new Operational Command Centre on time and on budget. PCC Jane Kennedy and Chief Constable Andy Cooke attended a special ceremony on Monday 5 February at which construction and infrastructure company Morgan Sindall officially handed over the new £48m building on the Estuary Business Park in Speke. Work will now begin to move all the staff, which make up Merseyside Police’s Matrix and Serious and Organised Crime (MSOC) team, into the new centre. Once all the teams have been migrated, more than 1200 officers and support staff from across all departments that make up the Matrix portfolio will be housed in the three-storey building. There is also a separate, single-storey building, which will provide administration and support services and further smaller buildings, including a dog kennels, a fuel station and a gatehouse, which will control access to the 11.4-acre site. The centre has been part funded by capital specifically ring-fenced for the force’s buildings and part borrowed from approved sources, in accordance with the Prudential Code for capital finance. This money is completely separate from, and cannot be diverted to, the funding used to pay for Merseyside Police’s officers and staff. Jane Kennedy said, “What a transformation! Less than two years ago, this was a muddy field. Now, we have been able to officially take delivery of the building so that the officers and staff who make up the Matrix units can now start to move into this purpose-built centre. “These teams lead the fight against the criminal gangs which bring the most fear to our communities and it is only right that they have the equipment and facilities they need to carry out that work as effectively as possible. I’m delighted that, as intended by the Chief Constable, they will now all be under one roof in this new centre which will enable them to work even closer together to prevent and tackle crime now and for years to come. The centre is an integral part of the Police and Crime Commissioner’s 10-year strategy to transform and modernise Merseyside Police’s station and facilities, while working to reduce the annual running costs of the police’s buildings by £2.5m. Chief Constable Andy Cooke QPM said, “Merseyside Police is committed to providing a police service that is fit for the 21st Century and that means we need to equip our officers and staff with the necessary facilities and equipment to do the job. 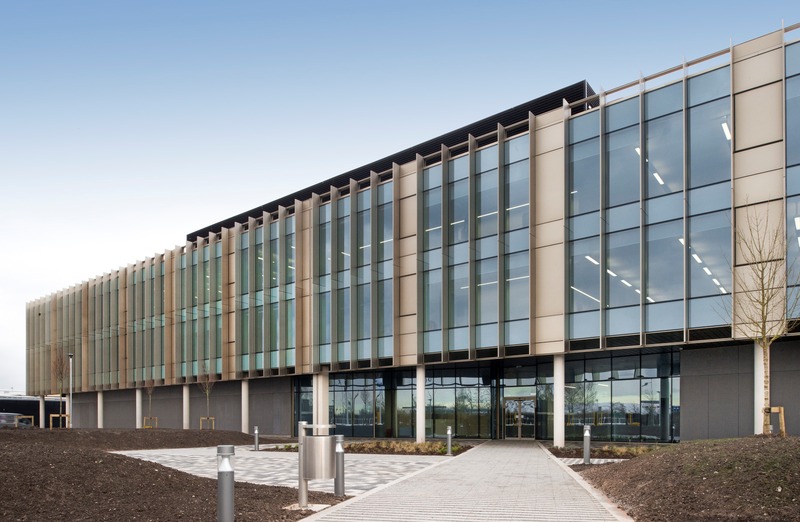 “A number of essential departments will now be able to come together under one roof as one team in the new Operational Command Centre in Speke, which has been made possible through funding specifically ring-fenced for the force’s buildings, and which will reduce the force’s overall running costs. The buildings have been designed to meet the latest standards in energy efficiency, including LED light throughout and solar panels on the roof to make sure it is as cheap as possible to run; it was assessed by city council planners as ‘well designed to be interesting architecturally and to preserve and enhance its ecological value in a landscaped setting’. The site will also provide car parking and land for dog exercise and training. Morgan Sindall has ensured that the site has been a hub of learning and development throughout the construction lifecycle. It’s estimated that 2500 people primarily drawn from the surrounding region have worked on the project, with over 38 apprentices and graduates from local universities and colleges employed on site during the process.